A-Z Front To Back Floor to Roof Warehouse Solutions. Experienced Warehouse Storage Equipment Supplier. Initial Design Measure up Cad Drawings. Professional Service from A-Z. Go To Whoa! Pallet Racking.Storage Safety Inspections by Storage Engineer Australasia Wide by appointment. Installation. Dismantle. Relocate. Logistics.Crews at your disposal for any Hands on Project Australia Wide. all ticketed with years of experience. we handle all Commercial Furniture fitments. Give Us a Challenge… Professional Quotes dealt with in a prompt manner. WE want your Business. 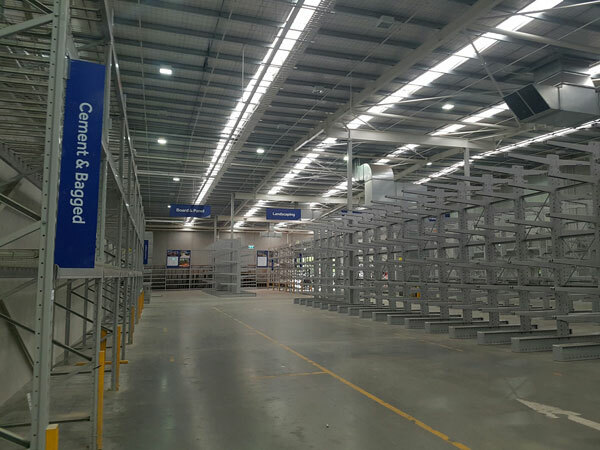 Altona North, Put back up 11,000 pallet positions then added 14,000 new pallet positions over the next 18 months. 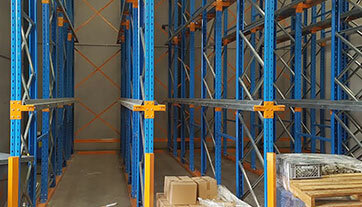 Warehouse Storage is crucial to your Business, The Nifty Group are a Solutions Based Company Providing you with a Pallet Racking Solution for any shape Warehouse. Pallet Racking also known as Selective Racking Designed and installed professionally Maintains a Safe and healthy Warehouse for Your Invaluable Stock and your treasured Staff on an Hourly / Daily Basis. 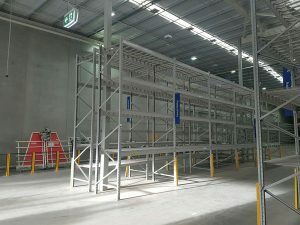 Pallet Racking Such as Dexion is manufactured to hold your stock and be highly visible to all Warehouse Staff in the famous safety Orange and Blue uprights which are made to Australian Steel Storage Standards and are chemical spill resistant as well as weather resistant and can be Custom Manufactured to suit all types of Pallets Skids etc. Well trained Warehouse Staff are vital to Storage Health & Safety and a Top Forklift operator is a must have for any Warehouse to maintain Productivity and Stock movement efficiency, The Nifty Group can help pre design your Warehouse based on a Good Dimensioned Building Plan with accurate Roof Heights to maximise your Pallet Storage from the Get Go, I like to think we become your Storage Partner and maintain a strong relationship as your Business Moves Forward. For example I like to “Fill” a shed at the start and not keep coming back over the years to add bits and pieces, this is costly and hinders your Productivity by having My Professional Install Crews in your Warehouse time and again, Time is Money… Do it Once…Do it Right. 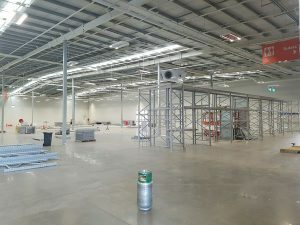 By that I mean I would recommend a Warehouse is fitted with the tallest possible frames the Roof Height will allow and install extra beam levels at the Move In stage, even though your current forklift may not reach the highest beam levels they are in place as your business grows you upgrade your Forklift & then You have hundreds of waiting Pallet Locations ready to be filled!! It Just Makes Sense!! Efficient, Forward Thinking, Dynamic, Lean, Professional. 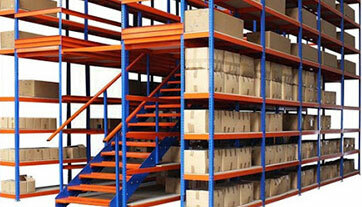 The Nifty Group is here to assist in Your Pallet Racking Requirements. 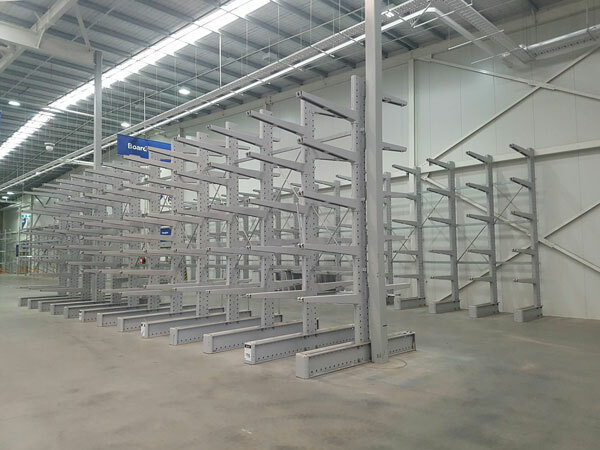 Having 8 years experience in this Industry I can help not only with New Pallet Racking I can source very good condition Used Pallet Racking to try & keep costs down. A Great Old Saying…. Opportunity Knocks….. When it does you grab it by the Horns and Bite off as much as you can chew & just keep chewing…Exactly how My Masters Stores Internal Racking / Shelving Tear Downs came about late in 2016…Right Place at the Right time for sure… I had at my disposal 12 very good Racking Crew who went to work & impressed the Big Boys & Builders Running the Masters Stores Australia wide for hand over… Union Sites, Strict Worksafe Guidelines, Inductions, Hard Hats, Everybody white carded with a good mixture of Elevated Platform Ticketed Personnel and with Timelines extremely tight & we soon had 25+ Crew On 2 Seperate Stores and doing a Magnificent Job in stressful Circumstances…. 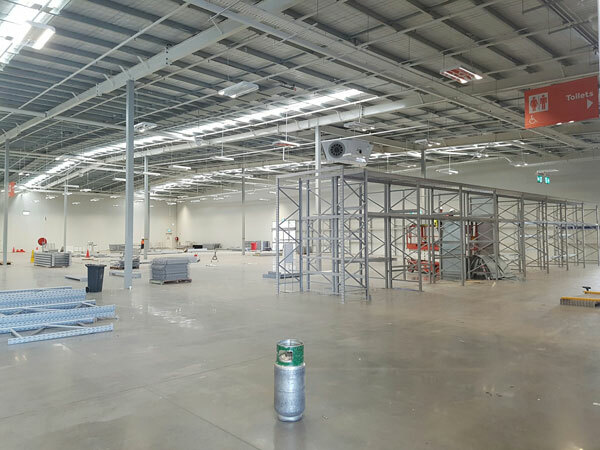 Goes to show at The Nifty Group We will Step Up for Your Organisation with Racking Labour Hire for Large and Enormous Projects Australia Wide. 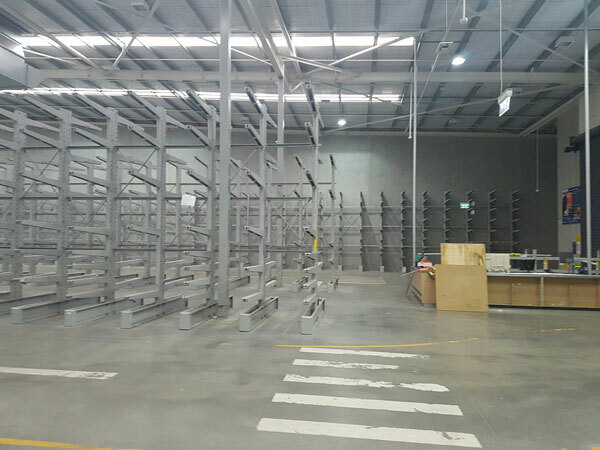 Pull Down, Re align, Re Locate, Racking, Mezzanine Floors, Cantilever, Give us a Try. Another Huge Personal Favorite of Mine!! 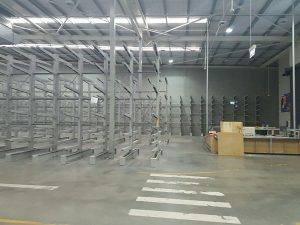 I have been Lucky enough to have Designed and Installed 30 + Custom Mezzanine Floors over the past 8 years, also know as Raised Storage Areas This Storage Unit is so flexible and functional for Companies Craving more storage space without having the huge headache of Relocating. 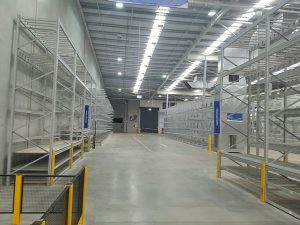 The Nifty Group will assist with your design and quote you on either Open Span Style or Rack Supported Floor so you can utilise picking shelf levels under your Floor.Constructed from Australian Steel and Tongue & Groove Flooring and compliant with all Australian Standards and Building Codes, Our Floors come with an Engineers Certificate upon Completion of Installation and we can even assist with Local Council Permits where required. 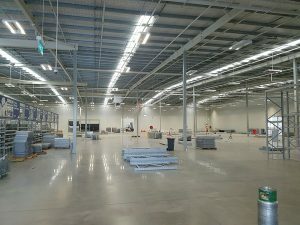 Mezz Floors are simply a Brilliant Solution..My Favorite saying is “The Only Way Is Up” in Warehouse Storage, Too few Companies see the benefits of utilising all that wasted Air Space, constructed to either 3kpa or 5kpa The Nifty Group will give you that storage space required and the Mezz Floor adds value to your Warehouse so it is definitely an asset. Floors are built with open perimeter Handrailing / Kickrailing, Metal Tread Stairs and the optional Safety Pallet Loading Gate for storing pallets quickly up on your Floor, Staff using a pallet Jack on the Mezz Floor can quickly distribute pallets across the Floor in an efficient manner. A True personal Favorite Storage System for me, Brilliantly designed and Engineered and amazing Functionality for your precious long bulky items that must be stored Horizontally. Ideal Storage system for the following Products. long lengths of Timber, Metal Tubing, Plastic Conduit, Metal Extrusions, Automotive Industry Products, Awnings and Plasterboard. 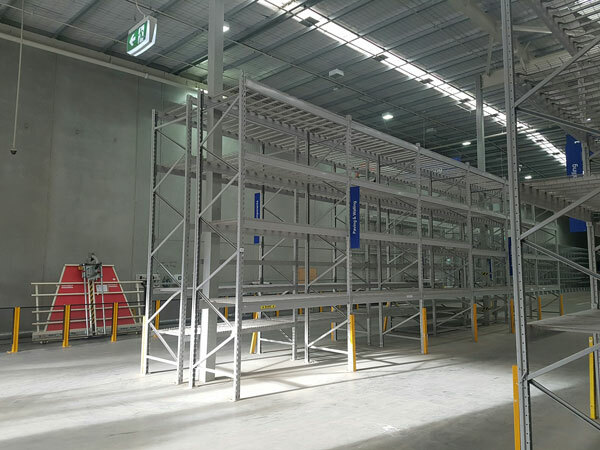 The Nifty Group Can help your business design either a Single sided Cantilever storage system ideal for placement around your internal perimeter walls or the Double sided version I like to call “Xmas Tree” Cantilever Racking for the middle of your Warehouse. Finished in stunning Blue & Red Powdercoat or Hot Dipped Galvanised Finish for External Yards We can design a Cantilever with as many adjustable levels to suit your products and allow for safe work loads per level. Easy to Install our professional Crew will ensure each level is exactly where you require to maximise your pack lots storage per level. Cantilever Rack is so efficient and Looks Amazing when Installed. In 8 years in this Industry I have never had a Company request for me to dismantle and buy back 1 Cantilever Rack!! It is That Good!! another benefit of Cantilever Rack is because its just like a big Boys Meccano set you can easily add extra bays at either end if space permits. 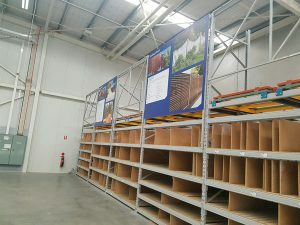 Very Clever Storage System for Same / Same Palletised Stock. ie: Ride On Mowers. Shredded Plastic Granules in Canvas Sacks. Powdered Milk Product etc. Suits Products that are basicall Identical in Size & shape and does not have a short Storage turnaround requirement. Drive In Racking Operates on a FILO system which means First In Last Out. Drive In Racking really is suited in an area of your warehouse where a single entry run of Pallet Racking would not maximise that Storage Space where Drive In Can go 3,4,5,6 deep in a suitable “Block” of under used Warehouse Floor.The Nifty Group Can assist with your Space Utilisation by offering Products such as this Very Clever Beast. 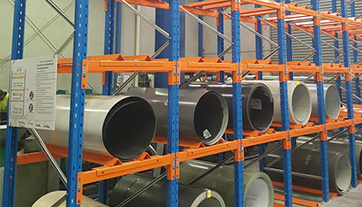 Another Favorite….Custom Steel Coil Storage Racking. I am proud to be associated with 2 Very Prestigious Australian Multi National Companies who import steel coils from Korea, China, Vietnam and other countries to Process into various products here in Australia such as Colorbond Roofing [ Roll formed ] Steel Water Tanks, Steel Roof Guttering, Pre Gal Purlins etc. These Companies came to Me for a Solution to the ever changing Steel Coil Sizes coming in to OZ. Together with my Chinese Manufacturer and Engineer we came up with exactly what these Companies require for modern day Steel Coil Storage. With Manufacturing flexibility and Engineered Weight Loads I have installed Multiple Steel Coil Storage Units Australia wide. 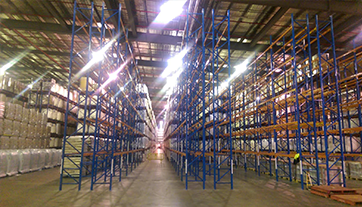 The Nifty Group offer full Warehouse Racking Engineer Storage Audits, Load Ratings, Safety Inspections and Reports Australasia wide. Stay Safe, Up To Date and Compliant. Regular Inspections Minimise The Risk and keep your workplace Compliant with current Industry Standards. One Site Visit Can Do The Lot!! Keep your Warehouse Storage Equipment in Good Health as the Alternative is very costly and very harmful to cohesive Productivity. 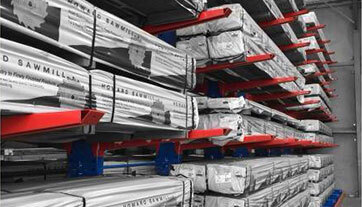 Maintain a safe warehouse with annual pallet racking audit. Our team can inspect your storage system and undertake any repairs required. Find out more here, or click below to schedule an audit.